Dubai’s biggest yoga festival is here, kicking off the new month with a healthy start! Yogis, get ready for two full days of non-stop yoga classes – all for free! From inversion workshops to yoga classes with world-famous instructors, you don’t want to miss out on the XYoga Dubai festival. Community fitness group We Do Active holds free beach fitness classes every week, including zumba and yoga. Want to join in? They’ve got quite a few free yoga classes happening this February, spread out across La Mer and JBR Dubai. Just bring your mat and enjoy the class. Science of Spirituality Dubai (SOS) invites everyone down for a free week of meditation and yoga classes this month. Sign up for one of the classes, where you’ll get the chance to learn how to use yoga to stay fit and meditation to handle stress like a pro. Every Saturday, yogis of all levels are invited to join Sarah White for a free early morning yoga class on the beach. All you need to do is send a DM to Sole Mio on Instagram to register. After the class, you are also entitled to a 25% discount on SUP classes! Don’t forget to bring your yoga mat and lots of water. 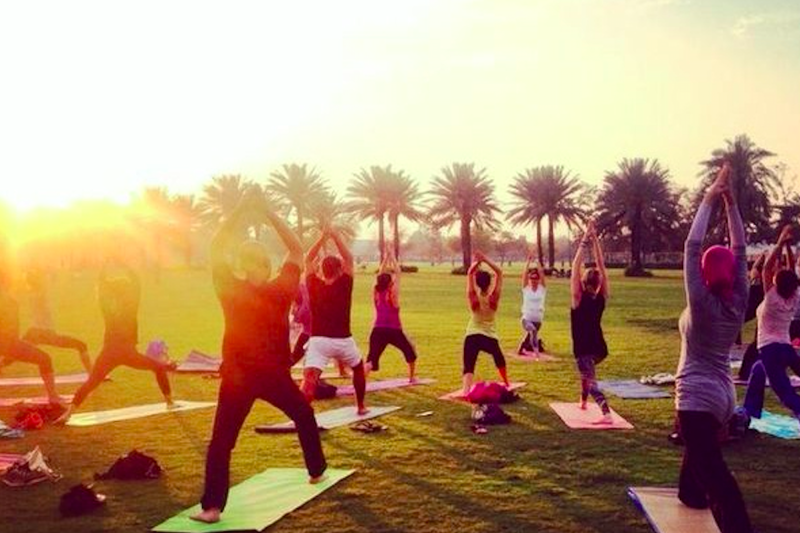 There’s a ‘Free Community Yoga‘ meetup group that holds free yoga classes in Dubai every week. Open to all levels, just RSVP online, bring your mat and join the group for free sunset yoga classes at the park. nextThere's a FREE Fitness Party at Palm Jumeirah this Weekend!